Pelham's downtown stretches along Fifth Avenue and Wolfs Lane in an area loaded with outstanding late 19th and early 20th century architecture. It also includes a significant linear park along Wolfs Lane. Because a community is ultimately defined by its downtown, the Pelham Preservation Society has expended substantial time and treasure to preserve and enhance this corridor of Pelham. 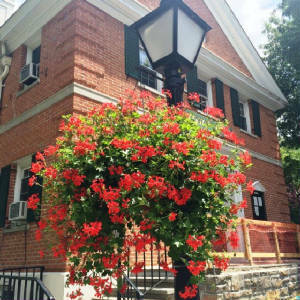 Among its earliest projects, the Pelham Preservation Society purchased brackets to support hanging flower baskets along Fifth Avenue. When the village stopped funding the baskets, the organization began funding their annual purchase and installation, expanding the area to include Wolfs Lane to beautify the entire downtown. The organization was consulted by the Village of Pelham in the renovation of Wolfs Lane Park. 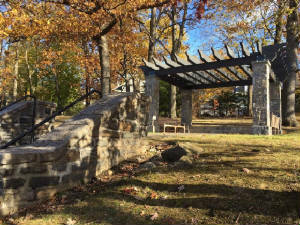 We successfully advocated for a reduction in hardscape features, the preservation of more green space and the addition of signage and details in keeping with the natural feel of the park and adjoining historic downtown, including oversight and funding for a new pergola as a park centerpiece. 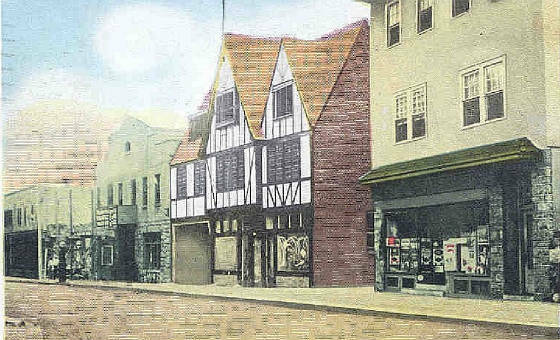 Because of the significant architectural, historical and cultural significance of Pelham's Downtown, the NYS Office of Historic Preservation has determined that the area qualifies for listing as an historic district on the State and National Register of Historic Places. The Pelham Preservation Society funded the research to obtain a determination of such eligibility and is pursuing the establishment of this district. When zoning changes have been proposed that would substantially raise the allowable height limit in Pelham, the organization has raised community awareness about the effect of such changes and suggested alternatives that would allow for reasonably-scaled development.